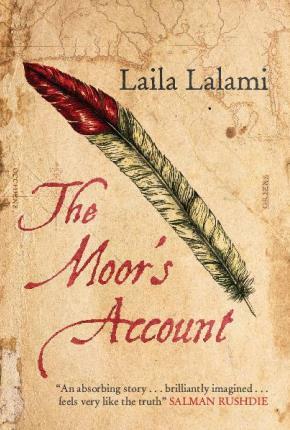 I interviewed Laila Lalami about her longlisted Man Booker novel, The Moor’s Account, which I reviewed some weeks ago. I began by asking about her literary techniques. 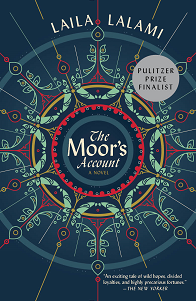 The narrative of The Moor’s Account mimics real life, in that there isn’t a climactic ending. The events in the last section don’t seem to be presented by Mustafa’s narrative voice as part of a deliberate plan, or as a set of events that he takes advantage of. How did you decide when in Mustafa’s story the novel would end? What effects or emotions did you want the readers to experience by this? 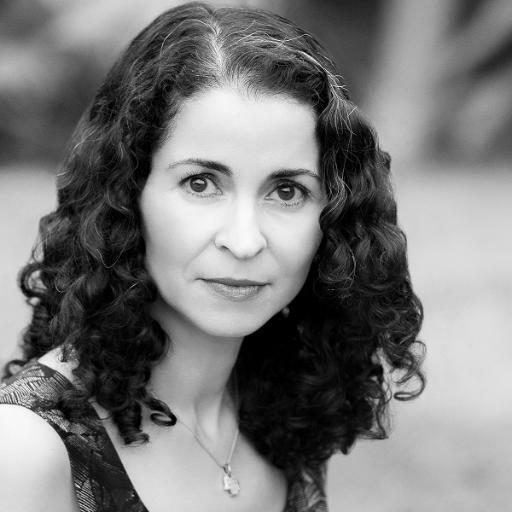 The novel begins with Mustafa’s arrival in Florida with the Narváez expedition. Naturally, I wanted to close that narrative and reveal what happened to all the surviving members of the expedition. But I also imagined the expedition as only one part of Mustafa’s life, not the whole of it. Mustafa has his own concerns, quite apart from what happens with the expedition. This is why I included chapters that were set in Morocco (i.e. prior to his arrival in Florida) and chapter set in New Mexico (i.e. after his departure from Mexico City.) For me, the story ends the moment Mustafa realizes he will never go back home and will have to build a life for himself in the new world. I admire the pureness of the vocabulary you use in the novel: almost nothing jumps out or prevents readers from believing they are hearing a true account from that period. Did you have to police your writing to keep the anachronisms out, or did the mood and tone of the narration do that for you? In the earliest drafts, I tried to imagine what a slave from Azemmour who’d attended Quranic school and wanted to write a travelogue in the style of the era would sound like. So I relied solely on my ear. But, while revising, I was quite deliberate in the lexical choices I made. I had to make sure that the nouns and verbs I used dated back to the sixteenth century, yet were also still in common usage today. I was aiming for a very specific effect: to have a voice that sounded authentic, but wasn’t too formal or literal. Since Mustafa’s norms are from medieval Morocco, using words from this culture (so we assume) to enlarge on strange things that he finds in Spain or in the Americas, is curiously alienating for the reader, in a good way. It reads like good sf, where you read the strange word, assimilate its meaning, and move on, having learned about the strange land. What other techniques did you find useful to impress on the reader how alien Mustafa’s experience was, for himself as well as for us? When I set out to write The Moor’s Account, I knew right away who would be telling the story: it had to be Mustafa, in the first person. The conceit here is that he is finally getting a chance to tell us what really happened to the Narváez expedition. But I also had to sort out whom Mustafa was writing for. Since he can only write in Arabic, the text had to be intended for an Arabic-speaking audience back home. This is why he relies exclusively on the Hegira calendar, why he uses Arabic place names, why he refers to Arabic measurement systems from the medieval era, etc. I wanted the reader to be immersed into this world completely. Tell me which authors, or what reading, you can see now were influential in your life and writing and teaching? It’s always quite difficult for me to pick only a few writers! Chinua Achebe, Mohamed Choukri, J.M. Coetzee, Toni Morrison, Graham Greene, V.S. Naipaul, Margaret Atwood. This summer, I finally read Cormac McCarthy’s Cities of the Plain, the last volume of the Border trilogy. I was looking forward to finding out what happened to Billy Parham (the hero from The Crossing), but McCarthy tosses him aside in favour of John Grady Cole (the hero from All the Pretty Horses). Cole gets his little Jesus-and-Magdalene moment with a prostitute named (you’ll never guess) Magdalena, and poor Billy Parham is left to age and nearly die under a freeway overpass. Parham was always the more interesting character for me—a picaresque hero who cared about doing what was right, not just about saving women. 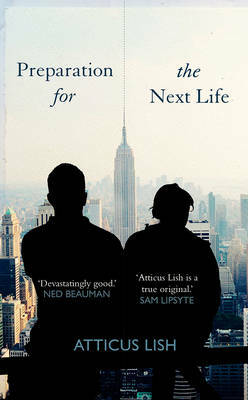 Atticus Lish’s Preparation for the Next Life.